Zika virus is carried by mosquitoes and causes an acute infection. Typically, an infection with Zika virus causes fever, headache, conjunctivitis (pink eye), and rash, along with joint and muscle pain. Only one out of every four infected people develop symptoms. When pregnant women are infected, the virus may be transmitted via the placenta to the fetus and cause microcephaly, a condition where a baby is born with an abnormally small head and incomplete brain development. There are no specific drugs for treating this virus, so most patients simply drink plenty of water and get lots of rest. Treatment consists of relieving pain, fever, or any other symptom. To prevent Zika, health officials recommend avoiding mosquito bites by using nets and repellents for the skin. 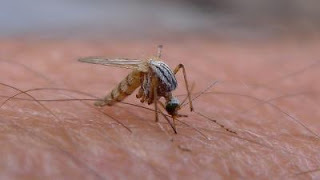 Mosquitoes that spread Zika virus bite mostly during the daytime. Typically, they live both indoors and outdoors nearest people and they lay their eggs in or near standing water contained in buckets, bowls, animal dishes, flower pots, and vases.